Fulfill customers’ labeling and EDI requirements. John Triel, IT Manager at Total Produce, explains how they brought the GS1 standard into practice. 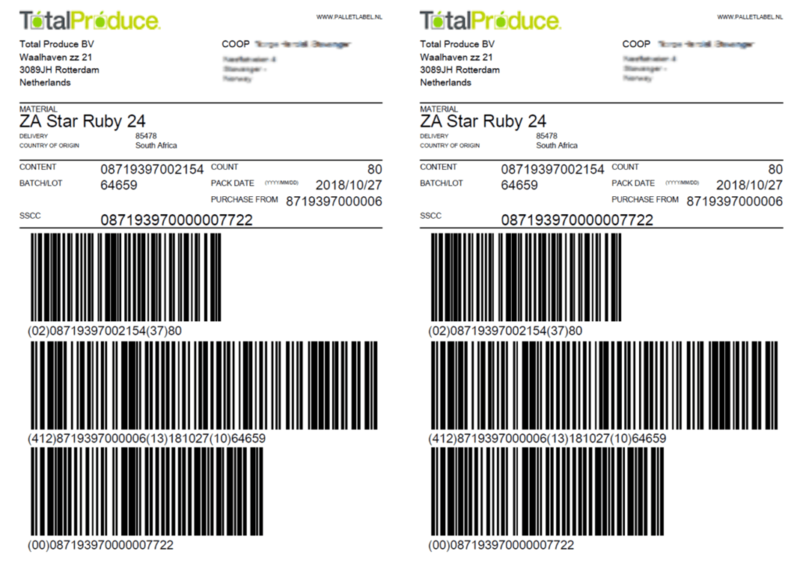 Total Produce is a specialist in overseas fruit and uses the Palletlabel + EDI SaaS Solution of Type2Solutions with which they optimize their logistic chain, delivering to the leading European retailers. John, could you tell us some more about Total Produce? Total Produce is active in over 34 countries. Which countries are your largest points of sale? Total Produce supplies the leading retailers in Europe, how do you handle their requirements? “We have to comply with the GS1 Standard, provide SSCC labels and use EDI. We’re talking about EDI messages such as DESADV, INVOIC and ORDERS. It became apparent quite soon that while people talk about the GS1 Standard, every retailer has their own implementation version of it. Every one of them has their own wishes and potential additional requirements. This concerns both customer as well as country specific wishes. “I’m responsible for the IT department and checked for ways to integrate it into our ERP system first. Eventually I’ve kept it separate from our system. The separation offers us a lot of flexibility, especially since Type2solutions is specialized in labelling and GS1. Why do you use the Palletlabel + EDI SaaS Solution of Type2Solutions? Comply with GS1 and customer requirements?